The Goods and Service Tax, aka GST, has been a game changer in the field for accounting purposes in business. It has cut down on all the overhead various taxes and made everything as one single tax payment under an umbrella. However, that is not where things end. With the rolling of GST, many new schemes and deductions have been added to benefit the small and medium enterprises. One of the many such schemes is the composition scheme under GST. 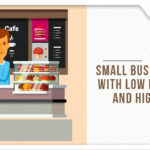 Composition scheme is one of the heads for the small businessmen and taxpayers. It is a simple beneficial scheme where taxpayers can get rid of the different formalities under GST and pay a fixed rate on the turnover. Only businesses with a less than Rs. 1 crore* turnover can opt for this scheme under GST. In some cases like the North Eastern states an Himachal Pradesh the amount is Rs. 75 lakh*. *As on 10th November 2017, 23rd GST Council Meet. There is a recommendation to increase the limit to Rs. 1.5 crore, however, the final call and the bill still needs to be passed. How did the composition scheme come underplay? GST was initiated to curb the x number of different tax heads that businessmen used to pay such as the VAT, Sales Tax, Import Export duty etc. Some of these lead to double taxation while some even lead to businessmen finding loopholes and not paying tax. After GST came into play almost all business entities are now registered under the GST scheme and follow a single taxation policy. However, under GST there are still a few nitty-gritty such as CGST, SGST, rebate and a few other heads creating confusion. Big entities have the specialized expertise, knowledge and the manpower to ensure the GST compliance, paperwork and the amount of tax to be paid along with returns. But for the small firms with a tiny turnover, ensuring everything under GST was in order was getting a little difficult to keep up. Hence to ensure the ease of doing business and paying taxes without a hassle the composition scheme was introduced. With the rolling of composition scheme under GST, the ease of paying taxes on time for SME and MSME’s has been a hit. An enterprise supplying any state of goods except that of the restaurant business. Any enterprise selling their products on an online service portal cannot avail this scheme. Only intrastate supply of goods. A business supplying to different states is not eligible for the composition scheme. Any enterprise opting for the composition scheme is not allowed to take Input Tax Credit and nor are they allowed to collect composition tax from their suppliers. 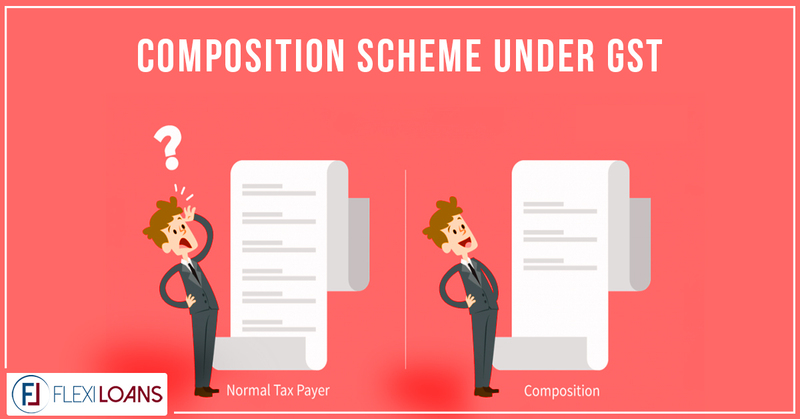 The composition scheme is accounted for all businesses under the same PAN card. You cannot exclude a particular business under the same PAN card for the composition scheme. For eg., You could be a supplier of mobile phones and a manufacturer of dye. Both these businesses will be accounted for under the composition scheme. Suppliers of pan masala, tobacco and ice cream are not eligible for this scheme. Nor are suppliers for non – taxable goods. Service providers and restaurants that serve alcohol are not eligible for composition under GST. How can an entity opt for the composition scheme? If you have fulfilled the eligibility criteria for the composition scheme and now wondering how can you go about it, this process can be done by logging onto the GST Portal. The enterprise has to fill out the GST CMP-02 with the government to ensure that the process has begun. Also, the enterprise cannot issue a tax invoice. The enterprise cannot charge its customers the tax and should be paying the tax themselves. This leads to the enterprise issuing a bill of supply. On top of the bill of supply, the enterprise needs to mention that they are a part of the composition scheme and not eligible to charge tax on supplies. Like every scheme out there, there are certain advantages that work in your favor and certain disadvantages you face too. Eventually, you need to list out if the advantages weigh out the disadvantages for you and if it is viable to go ahead with the scheme or no. With the introduction of composition scheme, firms only have to file their taxes four times a year as against in GST where reporting is required every month. Due to this small firms can concentrate more on their business and less on the accounting factors. With no Input Tax Credit due to the composition scheme, working capital that was blocked before is now free giving the enterprise more liquidity on hand and capacity to take up more projects. Another advantage of the composition scheme to the SME segment is the reduced tax liability. Due to a flat rate of tax to be paid other overhead costs and taxes are cut down, hence increasing their profit eventually. One of the criteria under the composition scheme to avail it is that the enterprise cannot engage in any inter-state transactions. Due to this, the growth of the business is limited and the enterprise can only grow locally. As the enterprise cannot claim the tax from their suppliers under the composition scheme, they need to pay tax themselves from their own pocket. The enterprise is not even allowed to issue a tax invoice and even though the amount is low, the firm is paying the tax. As mentioned above a firm claiming tax under the composition scheme is not eligible to take an input tax credit on any of their purchases. The composition scheme can be extremely fruitful to small-scale businesses and suppliers, people engaging only in intra-state transactions. It provides a hassle-free tax compliance schedule that does not require professional accountants or expensive accounting software. At the end of the day, you need to look into this scheme and how it works out for your business and your tax calendar and how much you end up saving.